The opposite of Busyness is not sloth, but stillness: Modern man requires incessant activity because he fears stillness. Rush hour in Tokyo, Japan. Photo by Nicos Hadjicostis. Everybody nowadays is constantly busy. Moving around. Hectic. Carrying to-do lists that get longer and longer. Errands to run, chores to finish, tasks to accomplish. Busy-ness, henceforth without a hyphen, has become the new ubiquitous reality in our modern world. Christmas especially, and “holiday seasons” in general, for some strange reason that is difficult to pinpoint, always end up being periods of incessant activity. Instead of being what their name suggests – holidays, which means meditative and calm, a time of rest and recuperation – they become the exact opposite. Most people spend an inordinate amount of time on shopping and moving about the city, planning, hosting friends or family, buying gifts, and sending and receiving greetings (most often from people who remember them once a year! ), or even traveling to places where … everybody else is also traveling. But Busyness, although accentuated during holidays, is to be found throughout the year. Just as I was meditating on and beginning my research into Busyness, I discovered that a very important scientific paper had come out on the subject last year … “just for me”! 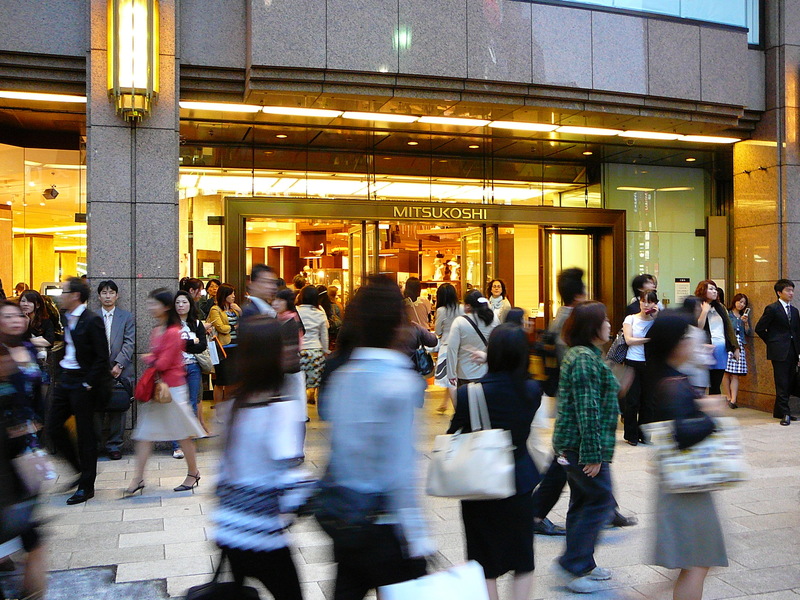 Researchers from Columbia, Georgetown, and Harvard Universities now say that “busyness” is replacing conspicuous consumption (until recently the ultimate status symbol) as a public marker for one’s worth. A century ago, the ability to abstain from work and enjoy one’s hobbies, sports, travel, or simply to remain idle, was a symbol of nobility and status. But today, the whole idea has been completely reversed. In the twenty-first century, the busy person, or the one who seems busy or busy-ish, is perceived as having a high status. Interestingly, the research demonstrates that wearing a hands-free Bluetooth headset (a product associated with busyness and multitasking) sends a stronger signal about our social standing than wearing a pair of headphones for listening to music (a product associated with leisure and free time). As the article also says, “Busyness and lack of leisure are also being more celebrated in the media. Advertising, often a barometer of social norms, used to feature wealthy people relaxing by the pool or on a yacht. Today, those ads are being replaced with ads featuring busy individuals who work long hours and have very limited leisure time.” As it turns out, behaving in a way that shows one is constantly busy has also become fashionable and, consciously or unconsciously, now everybody does it. As is often the case with scientific studies in the social sciences, although the research basically describes reality, thus verifying what we have all already observed, it does not give an explanation for how this phenomenon of Busyness has come about. In trying to find the roots of this new phenomenon, we are on our own. Therefore, we must leave descriptive sociology altogether and search into the depths of human nature itself. I think that Busyness has its root in something more substantial that goes beyond the dichotomy of high status vs. low status and work vs. leisure. Actually, busyness is not a synonym for hard work. Work is only part of it. Busyness is a synonym for incessant activity, restless motion. Its opposite is not sloth, but stillness. It is by discovering its opposite that a new understanding is achieved: Modern man requires incessant activity because he fears stillness. Stillness makes us come face to face with life’s central themes: “Who am I? Where did I come from? What am I doing here on this planet? What am I supposed to do?” The moment we stop moving, and the sea foam on the surface of the water ceases to be our main preoccupation and is seen for the insignificant transient froth it is, we face the fact of the immense ocean of Life that envelops us and asks for a responsible response from us. We must rethink the totality of our life; we must reevaluate our life’s choices, what we do and why. We must struggle to come to terms with our permanent incompleteness. But the task is daunting and hard, and so we shrink back from it. And then we suddenly “remember” the bill we have to pay, and the toy we have to buy, and the email we have to send … and off we go. Busyness becomes our existential comfort pill, the refuge from existential angst. It takes the role of an external force that apparently does not allow us to sit still and think. But it is not external. It is the sea foam, or rather the smokescreen we ourselves create so that we may avoid facing the more important issues of Life itself. And do the work Life demands from us. We shy away from the conscious suffering of development. However, let us be honest and admit that not all people are preoccupied with the major questions of Life, or with the purpose or meaning of their lives, or even with “consciously developing.” Let us also admit that not all need be preoccupied with such stuff. Who is to decide what each organism on this planet is meant to do? If so, then what’s so bad about busyness? Especially if it can impart the feeling of high status! Well, I think there are two negative aspects associated with Busyness. First, Busyness is a license for irresponsibility, both towards others and towards ourselves: the most common excuse for why someone did not do something he ought to have done (or promised to do or committed himself to doing) is that he was busy doing something else! But Life demands that we do what we ought to do, even if there are other things we ought to do. One “ought” does not cancel another. Busyness as an excuse for leaving things undone has become even more commonplace than Busyness itself. Suddenly, even the non-busy, aspiring to raise themselves to the higher status of both Busyness and Business, are so busy that they never finish their tasks. Nobody finishes anything anymore, because everybody is busy finishing “that other job.” Of course “that other job” is not finished either. Therefore, Busyness becomes another name for that work that never finishes, as well as the excuse for any other work that never finishes. This also applies to all the jobs that we assign to ourselves. That’s why it is also a license for being irresponsible towards ourselves. In the end, next year we will not do what we vow to do – which is what we failed to do this year! – because we will be … just as busy. Our busyness is already the handy excuse for our future failure. The remedy for this endlessly recurring cycle is actually quite simple: It is knowing that you never find the time to do things; you make the time to do them. And to make time, you need only stop the incessant activity in order to think of how to make time. The second, and much more important, negative effect of Busyness on one’s life is best expressed in John Lennon’s maxim from the 1980 song “Beautiful Boy,” dedicated to his son: “Life is what happens to you when you are busy making other plans.” Just as we may be said to be living in the Era of Soundbites, or the Era of the Others’ Gaze, we may also say that we live in the Era of Busyness. However, unlike the other two rather recent phenomena, Busyness has been around, on and off, for millennia! Although Lennon popularized this idea, it was Seneca who first uttered it, and then spent much time analyzing it in many of his writings. Seneca’s most famous essay, “On the Shortness of Life” (which, incidentally, may be the best book to re-read at the end of every year! ), is actually in great part preoccupied with “the preoccupied,” “the engrossed,” “the busy” people – as different English translators have chosen to render Seneca’s Latin term “occupatos.” It is in this immortal essay that we also find Lennon’s quote: “You have been preoccupied while life hastens on. Meanwhile death will arrive, and you have no choice in making yourself available for that.” At another point we read: “Everybody agrees that no one pursuit can be successfully followed by a man who is busied with many things, since the mind, when its interests are divided, takes in nothing very deeply, but rejects everything that is, as it were, crammed into it. There is nothing the busy man is less busied with than living: there is nothing that is harder to learn.” What both Seneca and Lennon are saying, in various ways, is that Busyness has an overall cumulative disastrous effect that we ourselves bring upon the totality of our life. Busyness estranges us from both Life itself and our own life in particular. The most powerful quote expressing this alienation, with an image that stays with you long after you have read it, again from the same Seneca essay, is the following: “So you must not think a man has lived long because he has white hair and wrinkles: he has not lived long, just existed long. For suppose you should think that a man had had a long voyage who had been caught in a raging storm as he left harbor, and carried hither and thither and driven round and round in a circle by the rage of opposing winds? He did not have a long voyage, just a long tossing about.” What a great image: Busyness is none other than the “tossing about” of a helpless boat near the harbor! Still, though, Lennon’s poetic rendering is probably the most potent for modern man, because of the ingenious way it is phrased: Lennon tells us that Life itself does not respect our busyness. Life moves on. And one day it ends up “happening,” in spite of us thinking we were doing something – “living it.” Our doing is an illusion. For by being busy doing a million insignificant things, creating and then running after myriad errands or chores, inventing tasks and endless to-do lists to finish, our Life becomes these things that we do. For our life is the totality of our living. The moment our living becomes a ceaseless busyness, it first ceases to be “ours,” then ceases to be true living replete with moments of Aliveness, and finally it ceases to be a self-generated movement – it becomes something that seems to be imposed by some outside agent on us (hence the word “happens”). But it does not simply happen (unlike in Seneca’s maxim where “life hastens on”). It happens to us. The crucial word in Lennon’s maxim is “to.” For it suggests a calamity, a disaster. And what is this Lennonian disaster that happens to us? We wake from our mechanical living after a few decades and realize that our life ended up being not the one we had envisaged, not the one we had planned, dreamed, and wanted, but one that was mysteriously replaced by incessant motion and activity, a never-ending Busyness that although always seemed to be on the fringes of our life, a kind of intermediary stage in which we moved from one task to another, one postponement to another, it somehow finally ended up being our life itself. Nicos Hadjicostis is the author of the award-winning book, Destination Earth – A New Philosophy of Travel by a World-Traveler. Visit his website or connect with him on Facebook. Nicos Hadjicostis is a writer, world-traveler, and former media executive. His award-winning book, "Destination Earth – A New Philosophy of Travel by a World-Traveler," is the result of a six-and-a-half-year around-the-world journey during which he treated the world as if it were one huge country, a single destination. To read more, and subscribe to his bi-weekly Tuesday Letters, visit http://www.nicoshadjicostis.com.